Hydro Jetting | Ken Neyer Plumbing, Inc. When we say “drain cleaning,” what first comes to your mind? Probably a clogged drain that you want unclogged. Unstopping clogged up drains is an important part of drain cleaning, and it’s a service people often call our plumbers to do. When you have a single drain or toilet clogged in your house, and a standard plunger won’t take care of it, that’s when you get in touch with one of our plumbers for the drain cleaning that will solve the problem. 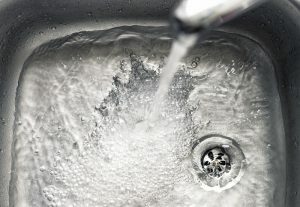 Drain cleaning, however, is more than simple unclogging. It’s also an important maintenance job for your plumbing. 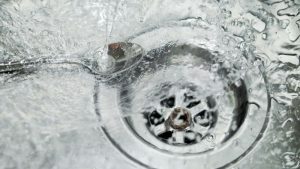 If you’re right now in the middle of your annual “spring cleaning” rituals—whatever they may be—we recommend you make scheduling regular drain cleaning services in Cincinnati, OH with our professional plumbers one of those rituals. 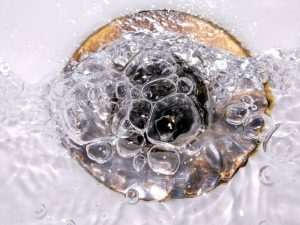 Drain cleaning is a plumbing job that people often connect with getting rid of tough clogs or annoying slow drains. Those are definitely important reasons to schedule this service. Frequently overlooked, however, is the importance of drain cleaning as part of routine maintenance for plumbing. The best way to deal with clogged drains is to stop them from happening in the first place, and arranging for annual drain cleaning from skilled plumbing professionals is the best way to get this done. We often talk about hydro-jetting on our blog: it’s one of the greatest tools a pro plumber has to clean drains. We have more than forty-five years of experience with using powerful hydro-jetting for homes and businesses. But today we want to shine a light on another indispensable tool for our drain cleaners, and that’s video pipe inspection equipment. Clogged drains, slow drains… dirty drains. They’re the most common plumbing trouble people encounter in their homes. Although you can take steps to reduce the chance of clogs and slow drains (using drain covers, never pouring fats, oils, and grease down the drains, etc. ), there is no sure-fire way to prevent them all. You’ll eventually need drain cleaning from professional plumbers. Drain cleaning is both a reactive measure—getting a drain unclogged—and a proactive measure. In the latter case, scheduling drain cleaning annually means you can help prevent future clogging by eliminating the build-up inside the drains. We recommend you call us for drain cleaning each year. Cleaning Drains the Best Way: Hydro-Jetting! We are dedicated to providing the best possible plumbing services to our clients, both residential and commercial. A major part of this dedication is using the best tools and technology available in the field. One example is the trenchless technology we put to use for sewer and water line repairs and replacements. Another—the one we want to talk about in more detail here—is the hydro-jetter for the most effective drain and sewer line cleaning possible. 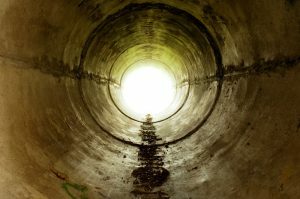 Posted in Drain and Sewer | Comments Off on Cleaning Drains the Best Way: Hydro-Jetting!